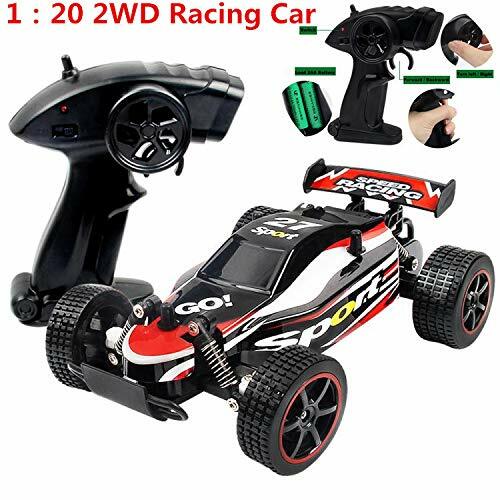 DICPOLIA 1：20 2.4GHZ 2WD Radio Remote Control Off Road RC RTR Racing Car Truck,Car Toys for Kids Toddlers Baby Boys Girls Adults Seat Model Toys Steering Wheel Car Toy Track (Red) by DICPOLIA at Angelos Hobbies. MPN: DICPOLIA---toy.... Hurry! Limited time offer. Offer valid only while supplies last. ★★★ Description Racing Series, Perfect gift for both adults and kid. Ready to run and no assembly needed. Excellent off-road performance. View More In Juggling Sets. Dimensions (Car): 22 x 14 x 7.5cm. If you have any questions about this product by DICPOLIA, contact us by completing and submitting the form below. If you are looking for a specif part number, please include it with your message.